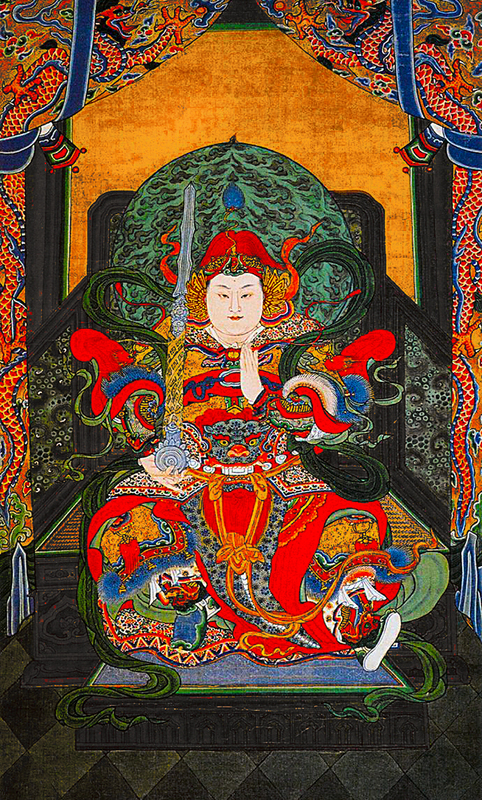 Skanda, also known as Wei Tuo (Chinese: 韋馱), is a Mahayana bodhisattva regarded as a devoted guardian of Buddhist monasteries who guards the Buddhist teachings. 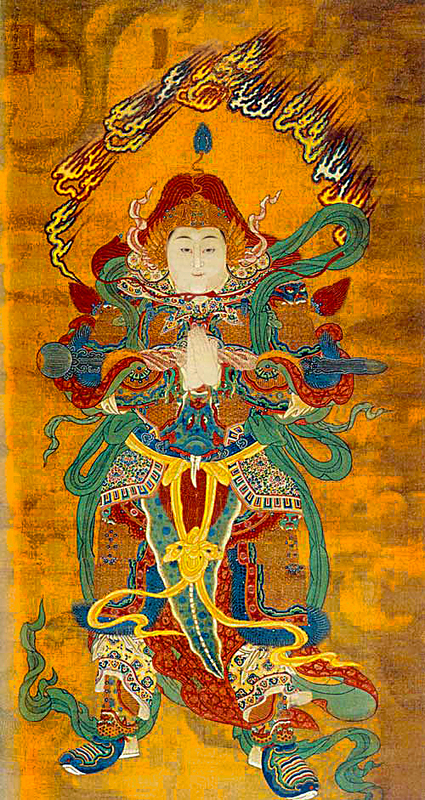 He is also sometimes called in the Chinese tradition "Hufa Weituo Zuntian Pusa", meaning "Honored Dharma Protector Skanda Bodhisattva", because he is the leader of the twenty-four celestial guardian deities mentioned in the Golden Light Sutra. 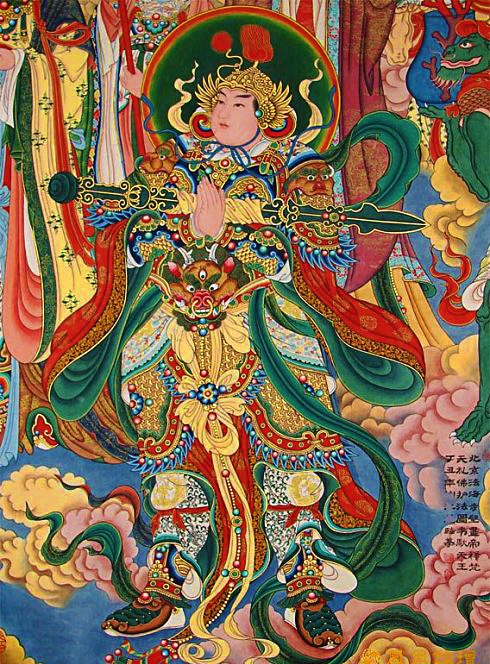 In Chinese temples, Skanda acts as one of the Heavenly Generals and faces the statue of the Buddha in the main shrine. 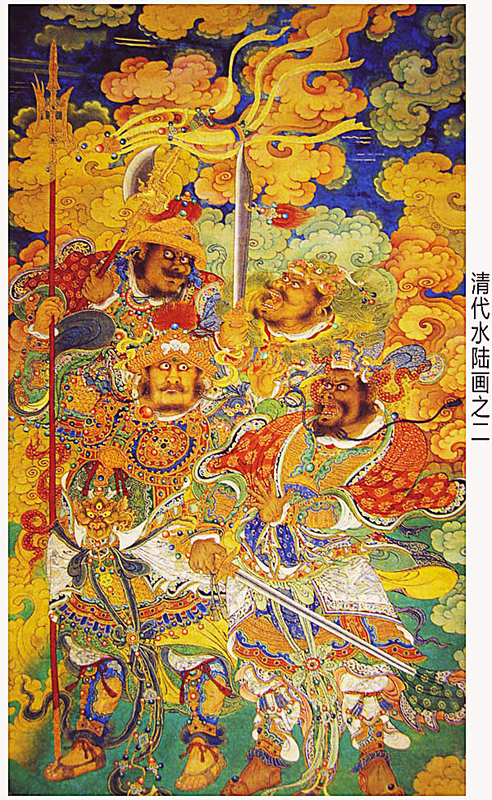 In others, he is on the far right of the main shrine, whereas on the left is his counterpart, Sangharama (personified as the historical general Guan Yu). In Chinese sutras, his image is found at the end of the sutra, a reminder of his vow to protect and preserve the teachings. 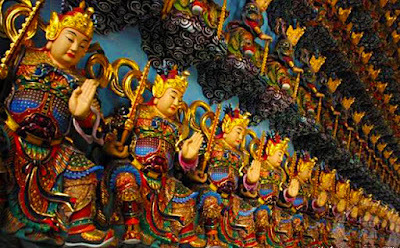 According to Chinese legends, Skanda was the son of a virtuous king who had complete faith in Buddha's teachings. 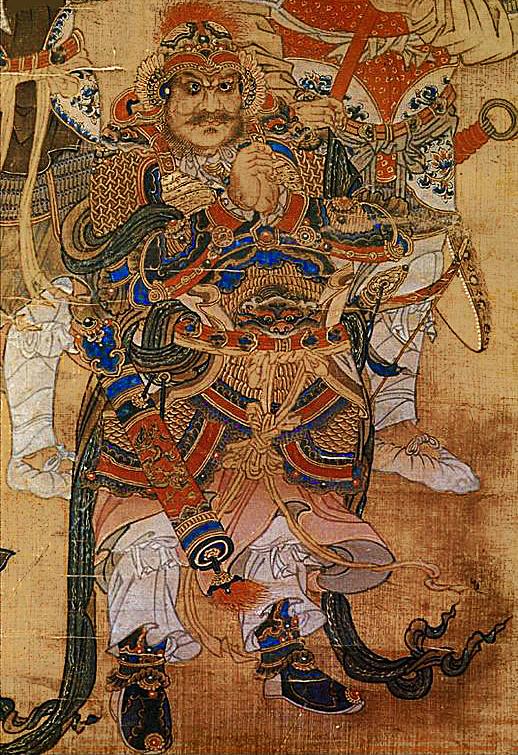 When the Buddha entered nirvana, the Buddha instructed Skanda to guard the Dharma. It was his duty to protect members of the sangha when they are disturbed by Mara, the tempter, and also to resolve conflicts amongst members of the sangha. A few days after the Buddha's passing and cremation, evil demons stole his relics. Skanda's vow of protecting the faith and Dharma was proven when he managed to defeat the evil demons and returned the relics. 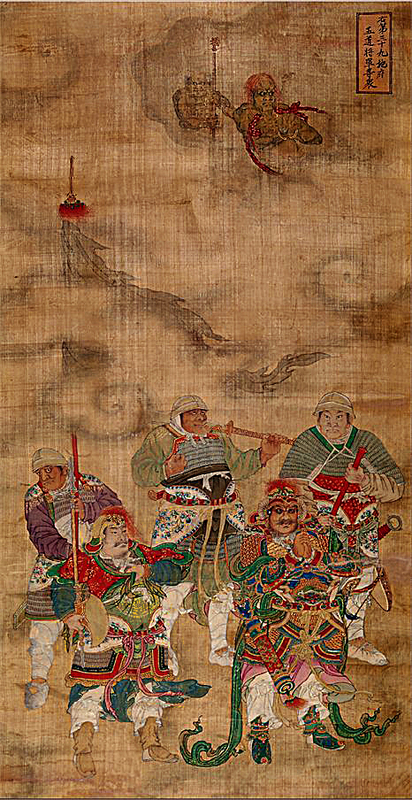 Scrolls depicting the 12 Heavenly Generals. 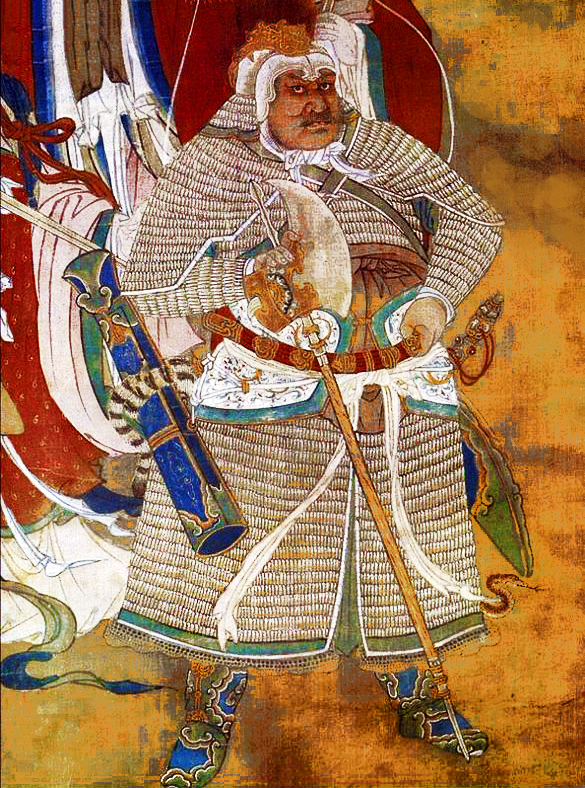 All in contemporary Song Dynasty armor.